The Space Generation Congress -The Space Generation Congress is an annual conference bringing together top young minds from around world to focus on key space topics. The Congress takes place annually in conjunction with the International Astronautical Congress, in October. 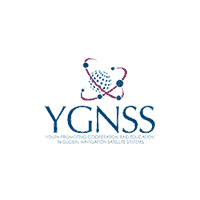 The Space Generation Fusion Forum – The Space Generation Fusion Forum is an annual conference, done in conjunction with the National Space Symposium in Colorado Springs, USA, in April. It gathers the top 70 delegates to discuss on a very dynamic panels the key space topics. SGx – SGx is an annual technology-focused event that brings together young professionals, industry experts, and government leaders to discuss pressing issues and innovative ideas in an exciting way. SGx is done in conjunction with SATELLITE Conference, in Washington DC, USA, and in partnership with Future Space Leaders Foundation and SATELLITE. Regional and Local events – SGAC hosts a number of events for students and young professionals across the world. with Regional Space Generation Workshops and SG local events. Propose a Project to SGAC – We area always open to engage our members in projects and topics that are proposed by sponsors to give the youth perspective. Check our global events Calendar!